"Beautifully set amidst 26 acres of lush greenery is the majestic Umaid Bhawan Palace, one of the great palaces of India. Named after Maharaja Umaid Singh, Umaid Bhawan is a golden- yellow sandstone structure built in fashionable Art Deco style of the time. 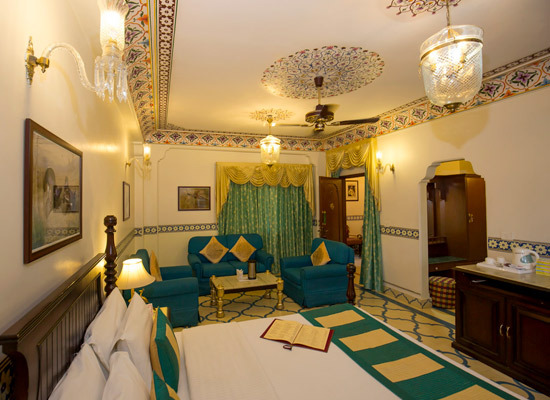 Converted into a heritage hotel today and owned by the famous Taj Group of Hotels. 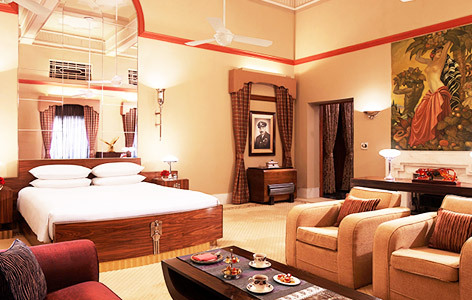 Named after Maharaja Umaid Singh, Umaid Bhawan Palace was built in the fashionable Art Deco style of the time. It is a golden yellow sandstone monument which took 15 years to complete. 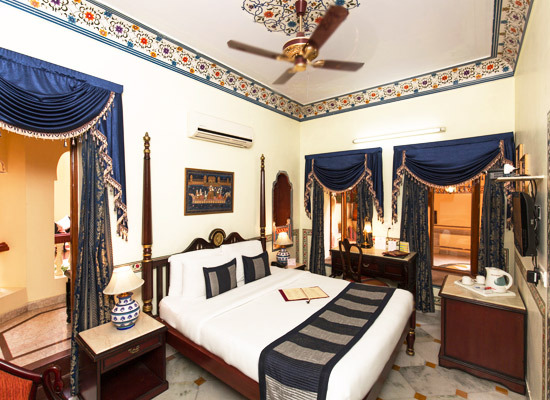 This 347 room palace was finally completed in 1943 and has served as the principle residence of the Jodhpur royal family since. Blend of the eastern and western architectural influences, Taj Umaid Bhawan Palace was designed by the renowned Edwardian architect Henry Lanchester. Serving delectable delicacies from across the regions Taj Umaid Bhawan promises to provide its guests with an exquisite and a memorable dining experience. 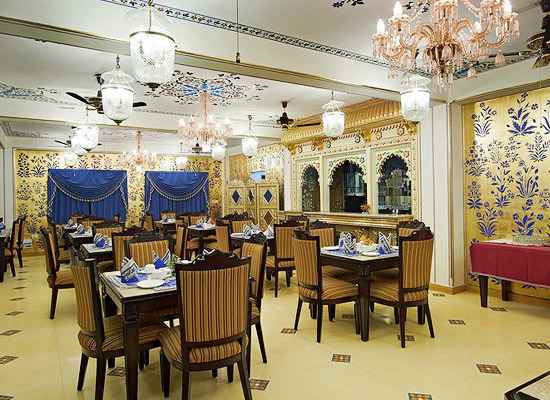 The hotel invites its guests to 'Risala' a la carte restaurant serving wide range of cuisine from across the regions. 'The Pillars' is a coffee shop at Taj Umaid where you can relish a steaming cup of hot coffee while enjoying a spectacular view of the Jodhpur city. Besides,'The Trophy Bar' is a well stocked bar serving wide range of exotic drinks to choose from. 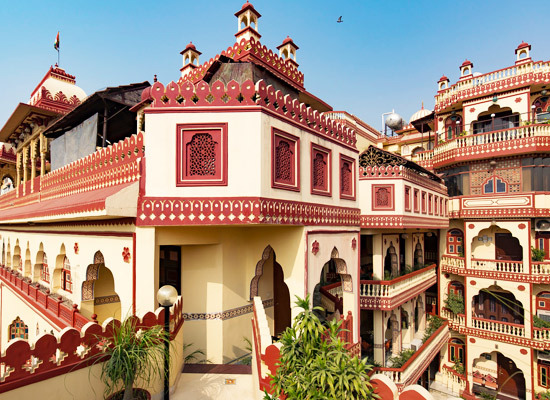 Also known as the Blue City, Jodhpur was also known as Marwar and is one of the popular destinations in the Rajasthan state of India. 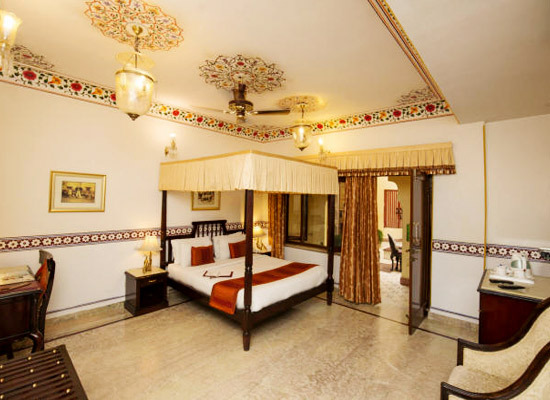 Featuring forts, palaces and temples, Jodhpur is visited by large number of tourists every year. 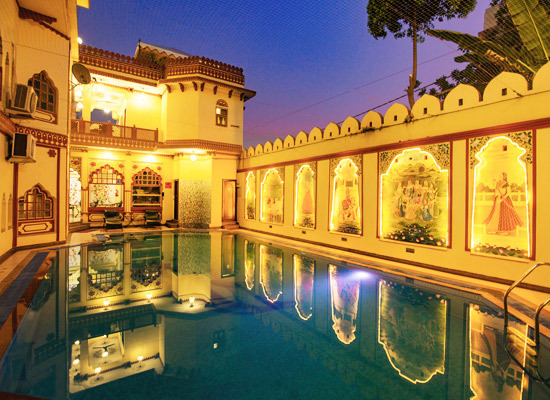 Known for its bright sunny weather, Jodhpur is also known as the Sun City.